As Canada's 4th largest province, Alberta entices travelers with over 600 lakes, 75 provincial parks, 5 national parks, and 587 species of wildlife to discover. After 18 years of designing (and experiencing) Canada travel itineraries, we know a thing or two about the must-do activities in Alberta, Canada. Larger than life natural wonders, a diverse range of all-season activities and fascinating historic (and pre-historic) sites make Alberta a leading destination for our travelers. From hiking and horseback riding to hot springs and northern lights viewing – find out what our Canada experts recommend to do in Alberta based on our own travels. Just you and endless hoodoos. Photo by Canada by Design traveler Jade Broadus. Look up, look way up. The skies go on forever and the sunsets just may pierce your soul. The best way to explore the Canadian Badlands is by car – allowing you the freedom to explore at your own pace, stopping to take in views of sweeping grassy plains and towering twisted rock formations known as hoodoos. Don't forget your camera - your Instagram account will thank you! 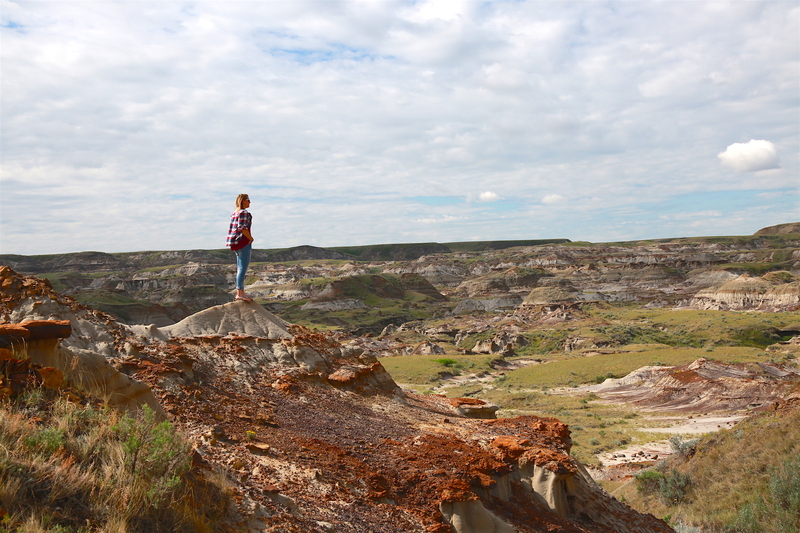 Discover your inner paleontologist at Dinosaur Provincial Park. Be sure to take the staircase putting you face to teeth with this 86 foot tall dinosaur! One of our musts is to experience the UNESCO-designated World Heritage Site Head-Smashed-In Buffalo Jump Interpretive Centre, that preserves and interprets over 6,000 years of Plains Buffalo culture. Blend your love for history and art in one stop! Visit Madalta Potteries in Medicine Hat’s Historic Clay District to tour a restored factory that's now a working museum and host to an artists-in-residence program. View the impressive display of old and new pottery. 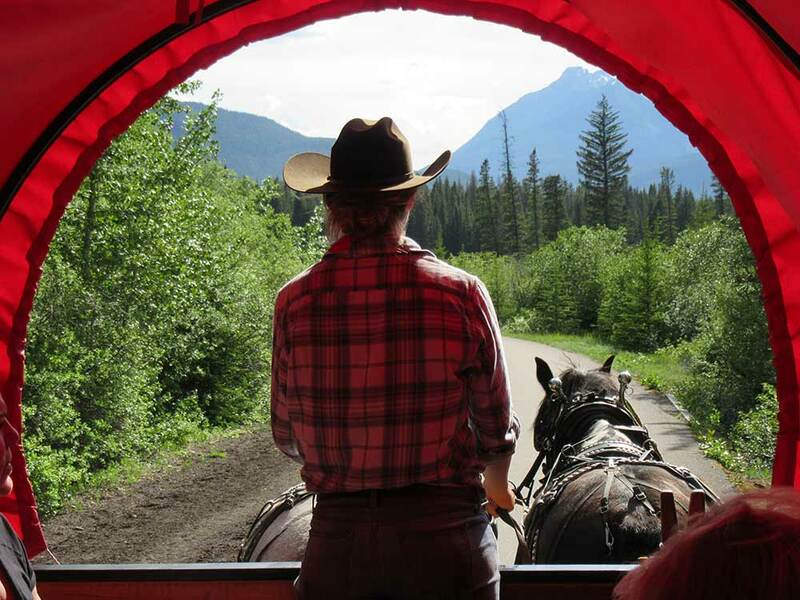 The views from our wagon with Banff Trail Riders - yeehaw. Look out city clickers, the authentic west awaits! We were surprised just how quickly we found or footing (or hoofing?) on this trip. Follow your guide on horseback to your tent or lodge for the night where you'll enjoy a hearty meal by the fire and the satisfaction of the days ride. Looking to ease into cowboy culture? Sit in a comfortable wagon ride to the popular cowboy cookout where you’ll enjoy a tasty cook out featuring Alberta beef (of course!) and family friendly activities. 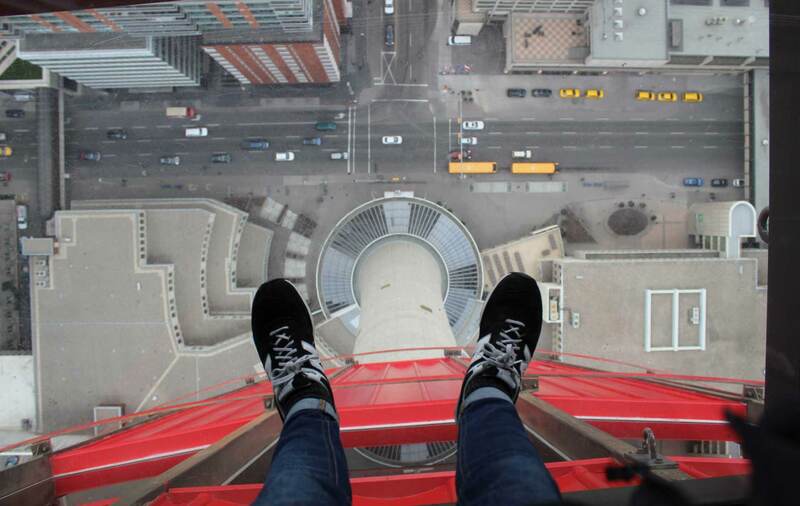 Calgary may have landed on the map as the gateway to the Rockies and host to the Greatest Outdoor Show on Earth – but has since taken flight as a vibrant and unexpectedly cool destination offfering unique experiences for history buffs, foodies and active explorers alike. We found that adding a couple nights to our Rockies trip gave us more time to dive into the city like a local and get the most out of the trip. Calgary is pulsing with a diverse restaurant scene and trendy cocktail bars. Our mouths are still watering over the Kensington Food Tour we enjoyed offering a behind the scenes experience with the funky neighborhood's best eateries. As music lovers, we had a blast at Studio Bell, Home to Canada’s National Music Centre. You'll enjoy an interactive experience with Canada’s music history and can marvel at the impressive architecture. Perfect for our families and history fanatics, spend an afternoon or full day at Heritage Park one of North America’s largest and most successful living history museums. Yes, we know it's on your list - the iconic train trip in Canada. Step back in time while enjoying modern comforts on a rail journey to the Rockies. 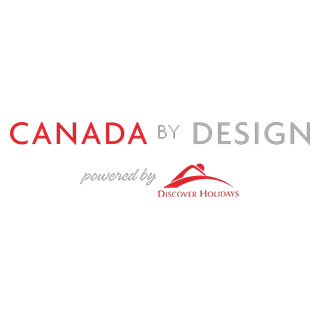 Depart with a champagne toast (our favorite part), then get comfortable as you voyage through the beautiful scenery that Canada is celebrated for as you prepare for your Rocky Mountain adventures ahead. Whether you want to overnight on board the iconic VIA Rail, Canada's first passenger train or stick to daylight travel only on the legendary Rocky Mountaineer - we've got you covered. You'll enjoy non-stop photo opportunities and mouth watering meals while on board the trains. Oh, hello gorgeous. We snapped this at Bow River en route to Banff. Alberta during winter? YES. You heard right. If anyone is going to master the art of winter - it's Albertans. 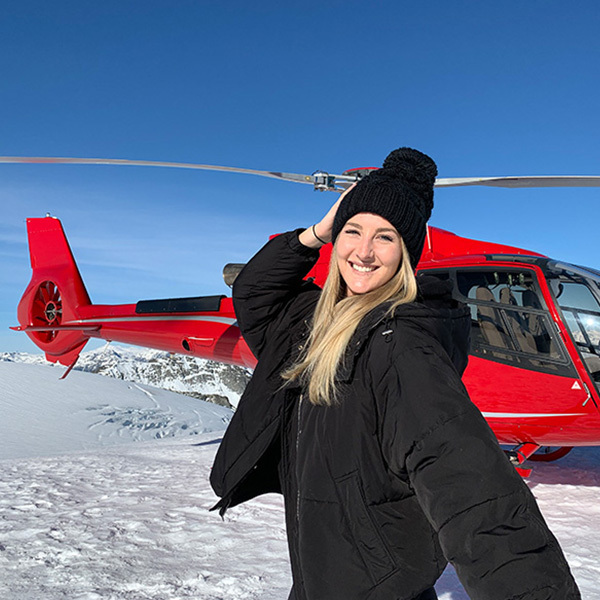 From ice climbing 100ft canyons to a sleigh ride around the iconic Lake Louise - a winter vacation in the Rockies connects loved ones through magical winter experiences at a special time of year. We've done it ourselves and lived to brag about it 11 Winter Wonderland Trip Ideas. Still don't believe us? 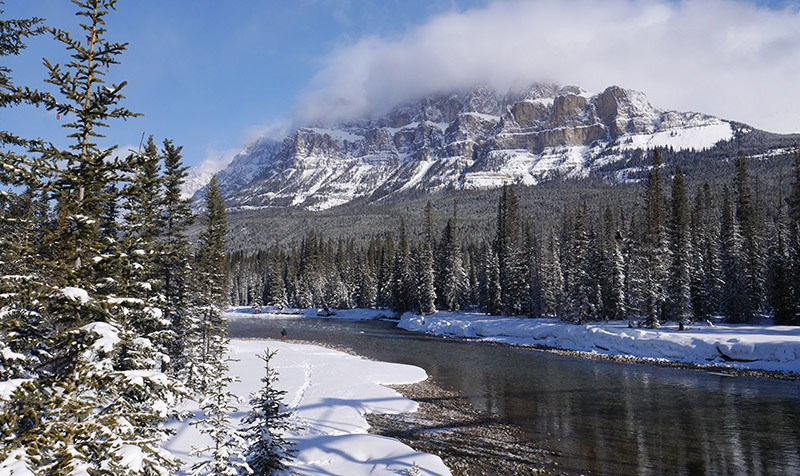 Read what our travelers say about winter in Alberta and other customer testimonials. "We had the most fabulous trip to our Winter Wonderland in the Canadian Rockies. Thank you so much for organizing all our travels and hotels. 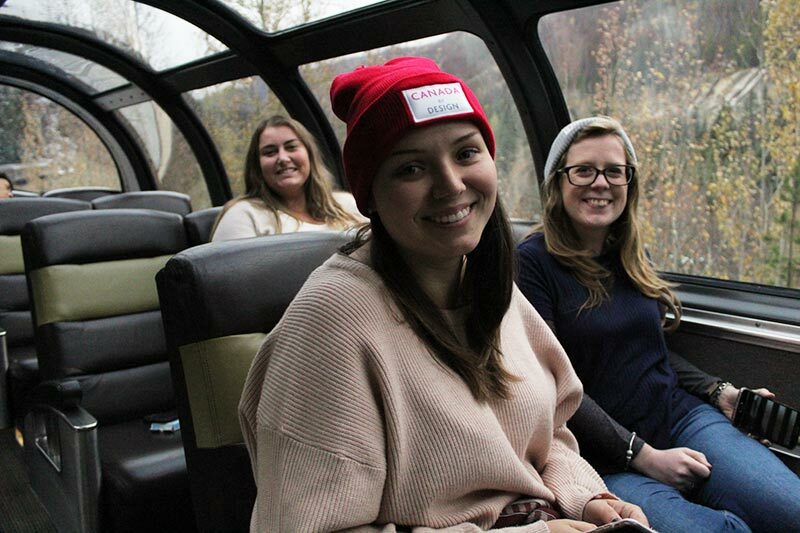 Highlights: the vintage train from Vancouver to Jasper! I left the shade up all night and watched the world go by." Mary, California, United States. This post really just scratches this surface. Alberta is a big destination with plenty to discover - contact our team to customize your dream Canadian getaway, and be sure to share your favorite Alberta highlights in the comments below!